Let’s face it, life is hard. From the countless emails clogging up your inbox and the endless list of chores that come with living out of home, to all of the shows you don’t have time to watch on Netflix and finding out your car is due for another service—sometimes it seems like we just can’t catch a break from our first world problems. 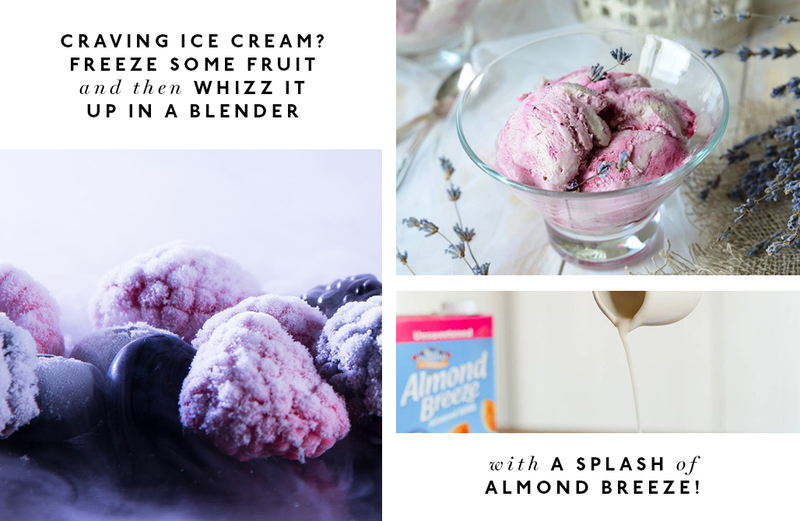 So, in an effort to make your lives that little bit easier, we’ve partnered with Almond Breeze to bring you 24 tried and tested life hacks to help you breeze through life like the adult you want to be. Bye, first world problems. Now go forth and hack your life! 1. Whatever you’re cooking for dinner tonight, double it. BOOM! You’ve just made tomorrow's lunch. 2. Netflix and multi-task. Did you know you can get 1.5 loads of washing done in a single episode of Black Mirror? 3. Stop wasting time trying to find your house key, colour code that shiz! 4. Have you looked inside your kettle lately? It’s probably dirty. Boil some water with a good glug of apple cider vinegar, then boil straight water another two times and voila—a shiny, clean kettle at your service (not to mention better-tasting tea)! 5. Get a cleaner. Chances are you’re throwing away tons of money on acai bowls and espresso martinis each week, so you might as well swap that $50 a fortnight on making your space spotless. 6. Trying to be healthy, but craving ice cream? Freeze some fruit and then whizz it up in a blender with a splash of Almond Breeze, then take a bow. We love this recipe. 7. Centralise your shopping lists to avoid multiple trips to the shop. (You forgot toilet paper again, didn’t you?) We love Google Shopping List. 8. Got a pimple? Don’t pick it! But if you must, follow these steps. 9. Bathroom cupboards a mess? Buy some cheap, stackable plastic boxes (like these) and enjoy organised bliss! 10. If meal prepping sounds daunting, at least learn how to make some yummy overnight oats so you can kick-start your days on the right foot, and feel extra smug. 11. 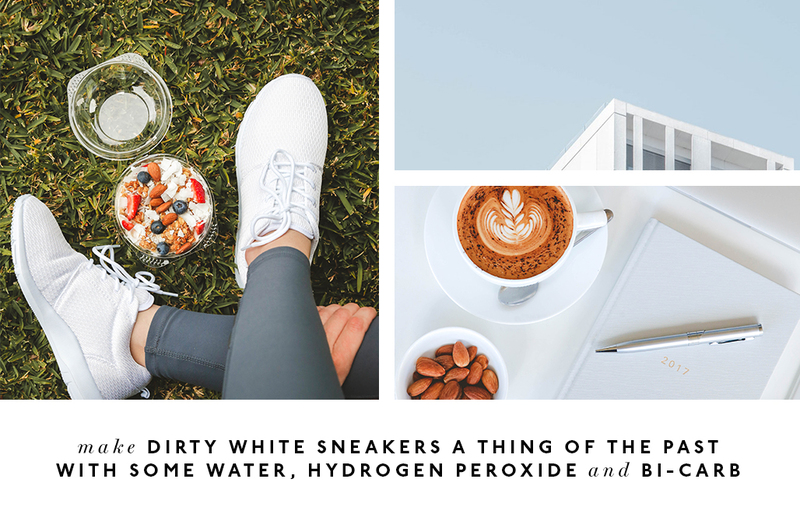 Dirty white sneakers are so primary school so mix up two-parts water with one-part bi-carb soda and one-part hydrogen peroxide, paint the paste over your kicks and leave them in direct sunlight for four hours. Bang your shoes together and brush off any leftover dried paste and you’re good to go. 12. Buy a textured, shabby-chic doona cover. All you have to do to make your bed is pull it up and fluff up the pillows—creases, who?! 14. De-wrinkle your clothes by popping them into the dryer with a few ice blocks for a couple of minutes. For real. 15. And invest in garment wash bags to keep your nice clothes looking nice, #adulting. 16. 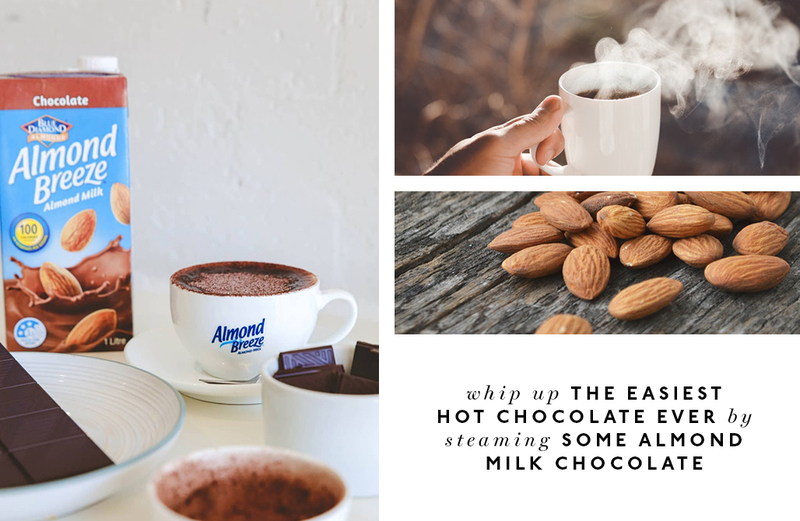 Make the easiest hot chocolate ever by steaming some Almond Breeze Chocolate (or heating it in the microwave if you’re a basic b*tch). 17. Red wine stains and soda water are the worst best friends you’ve always needed. 18. Slow cookers are your friend, use one with hack #2 and you’re golden. 19. Always got a bajillion tabs open in your browser? Download Linkclump and find out what organised bliss feels like. 20. You can open a beer bottle with anything from a spoon to a belt buckle. It never hurts to get a little creative! 21. 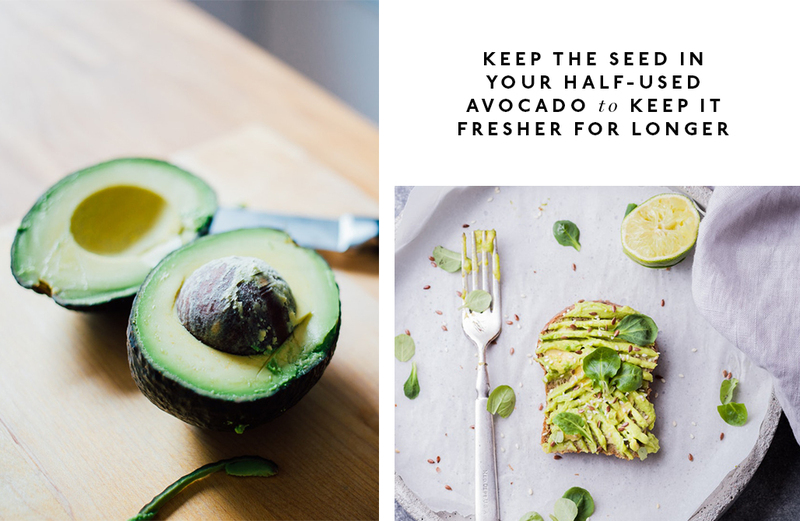 Keep the seed in your half-used avocado to keep it fresher for longer. 22. Drown out your colleagues' loud typing at work by whacking in some headphones and listening to ambient sounds. Hello productivity! 23. Curl cream + a blow dryer with a diffuser attachment = easy AF beach waves. 24. Got friends coming over but you’re too busy (lazy) to impress them with your baking skills? Make them a mug cake! Editor's note: this article was produced in partnership with Almond Breeze—the world’s favourite almond milk brand. For more information on our editorial policy please click here.